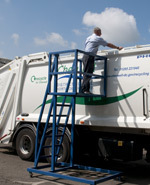 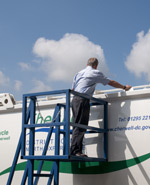 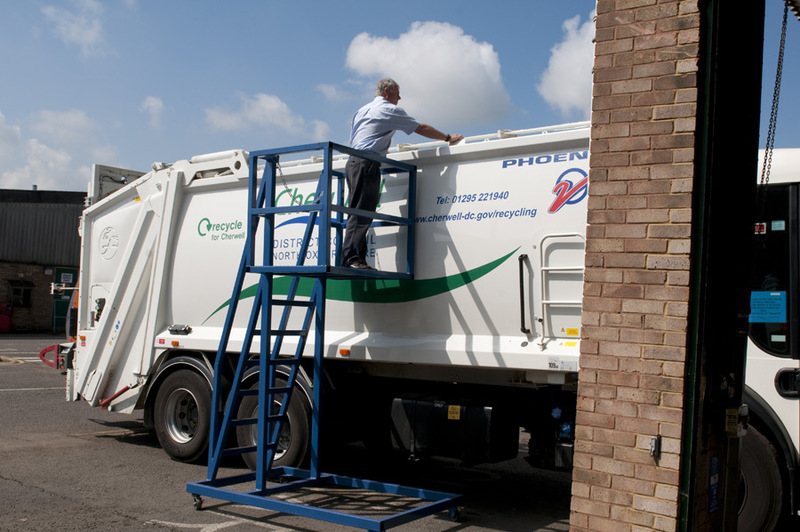 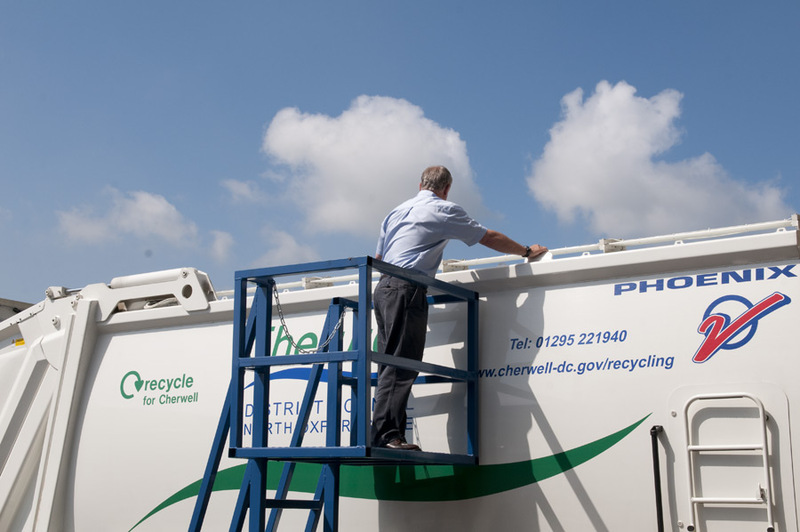 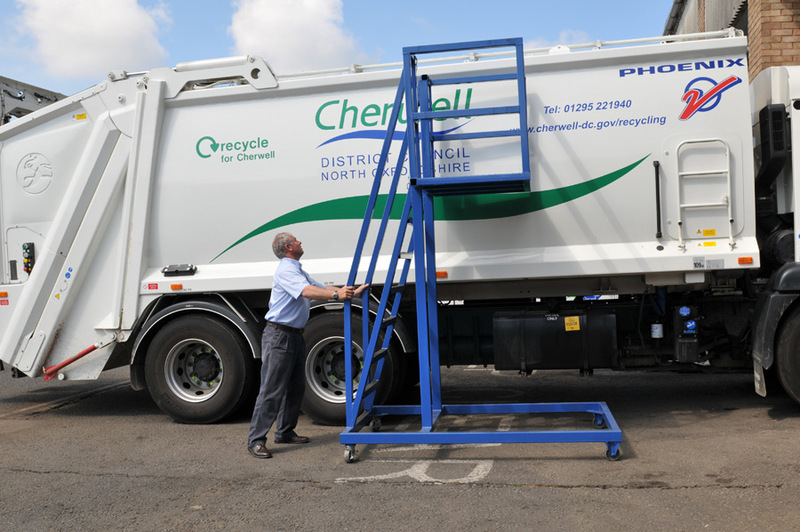 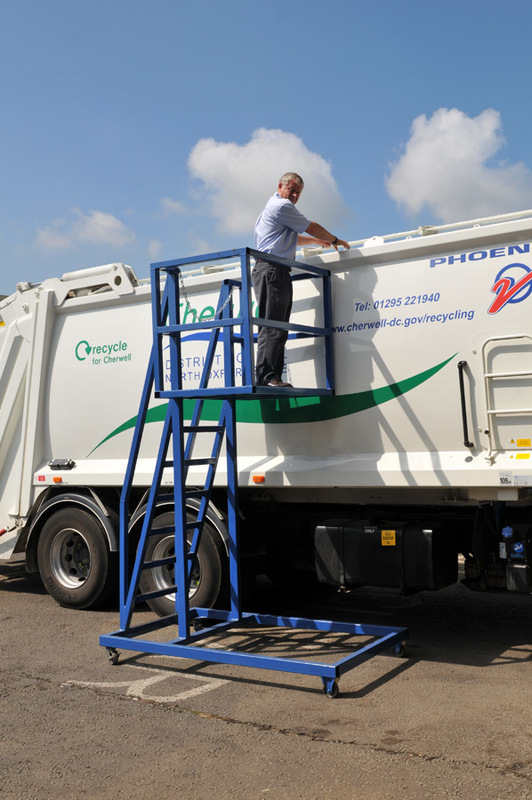 When Cherwell District Council needed a solution for working at heights to get safe access to maintain and repair their Refuse Collection Vehicles, they asked ESCA for help. 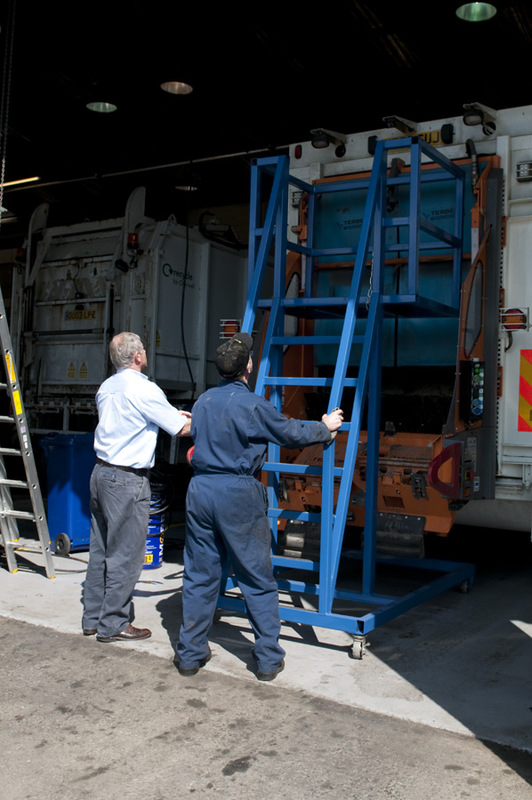 With a proven record of providing the best mobile access equipment to suit their client’s individual requirements, Steve Jefferies and colleagues created the Vehicle Maintenance Platform (VMP): a heavy duty commercial platform for working at heights of 4m. 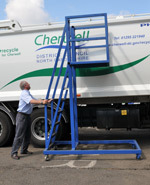 Designed to Cherwell District Council’s specifications it is the perfect equipment for stable access to the rear hopper and all other areas of their vehicles. 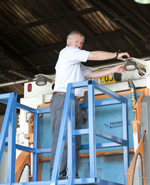 Being a fixed unit the VMP requires no assembly or maintenance. 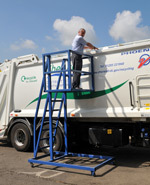 Manufactured in high quality steel with a durable gloss finish, it incorporates safe and robust non-slip step treads, a chequer plate non-slip platform floor and an integrated platform safety chain. 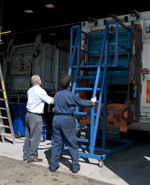 It is easily manoeuvred by means of the four-way castors and offers a safe working load of up to 250 kilos - ideal for use as a vehicle maintenance access platform. 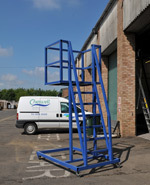 Conforms to European safety standard EN131 and the Health & Safety Executive Working at Height regulations 2005. 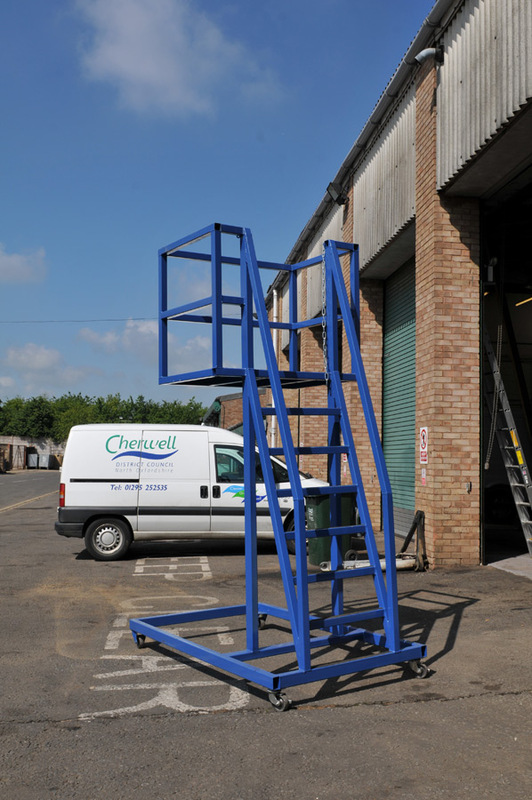 With the option to have a bespoke design to fit individual specific applications the Vehicle Maintenance Platform is the ideal solution for all companies that require working at height access equipment and garage access equipment for vehicle maintenance and workshops. 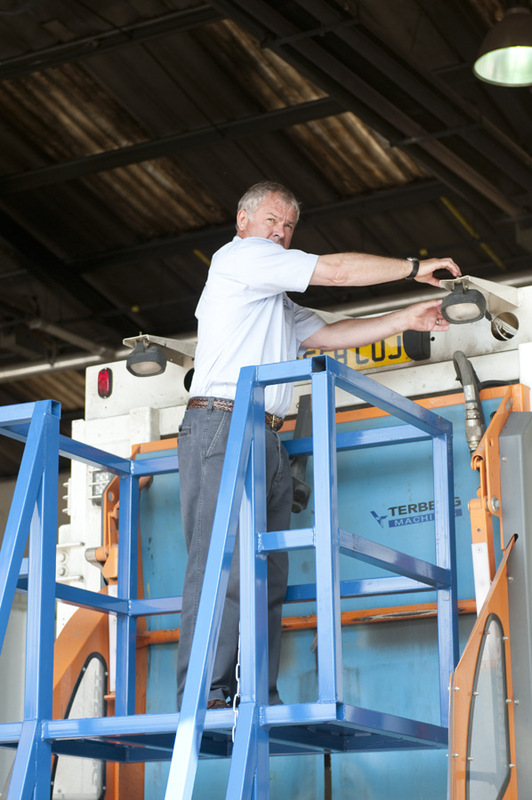 Our vehicle maintenance platform is suitable for use on a wide range of industrial vehicles.